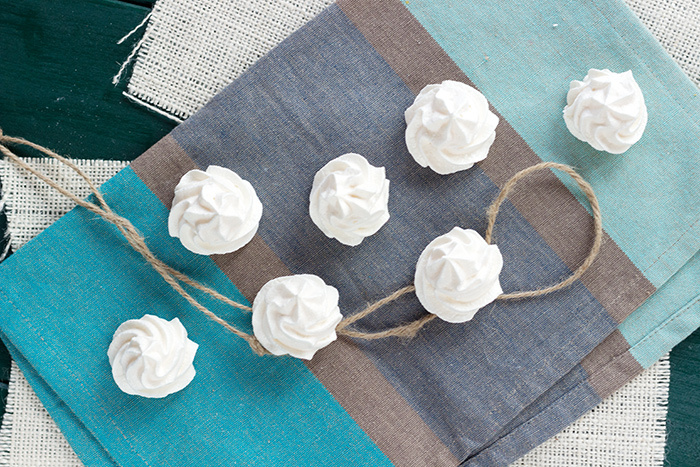 Small french mini meringue just for fun or to use as a decoration. I wanted to try the recipe I found on Chef Simon website to realise these delicious and authentic French mini meringues. I am not mistaken. There are delicious ! 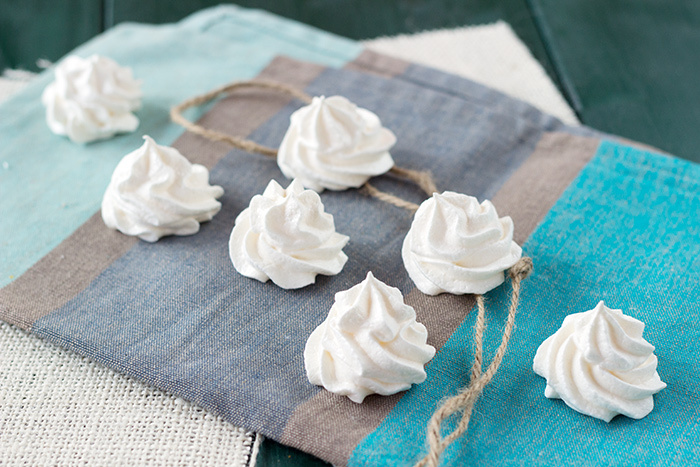 But why do we call them French meringues ? Simply to differenciate them from the Swiss and the italian one ! The French meringue is the easiest one, the one we all know and that we love. I love these meringues. This is my weakness ! All for all of the other ones, I can only tell you a bit more about the Italian one thanks to this delicious clementine meringue pie. That’s a meringue where the sirup cooks the foamy white eggs. I promise I will let you know more about the Swiss meringue. Use the fluted tip. Fill your pastry bag. 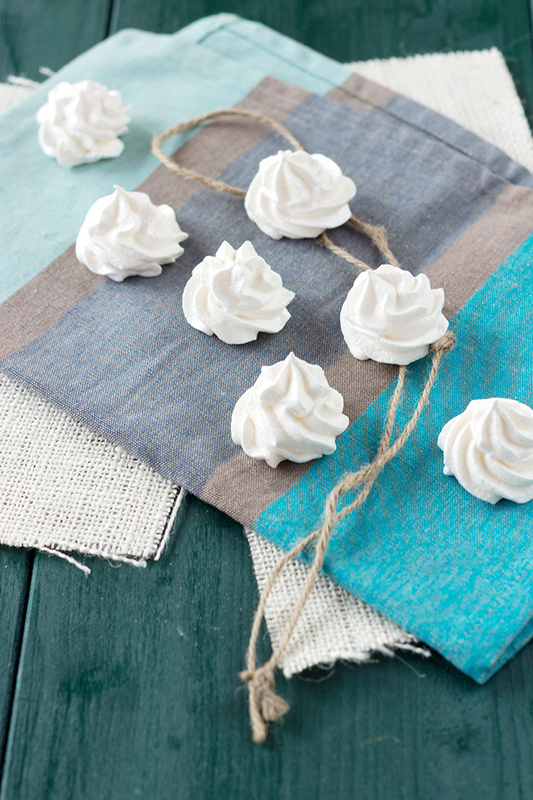 Make your mini meringue on a baking try covered with baking paper. Perfect bite sized meringues. Lovely! Thank you so much Patricia !